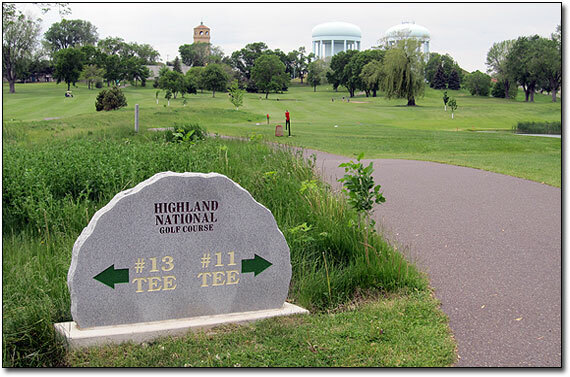 A few weeks back I played a twilight round at Highland National in St. Paul for a grand total of $20. My friend and I managed to get in 18 holes just as darkness fell on the course with the Snoopy bunker. I haven’t played the course in a few years, but overall, I still feel the changes that were made by Paul Miller and Garrett Gill in the big re-design were a success. Not everyone agrees, but the course was pretty full for a weekday afternoon. The starter said rounds played this spring are up and they are happy with the design. A little follow-up work is in progress: the putting green was re-built and the first and tenth tees have been modified slightly. I also heard that someone dumped a few goldfish in one of the new drainage ponds and now they are everywhere. Colleen and I attended an open house for our friend and attorney Kevin Johnson last week at the ASI Jet Center in Eden Prairie. 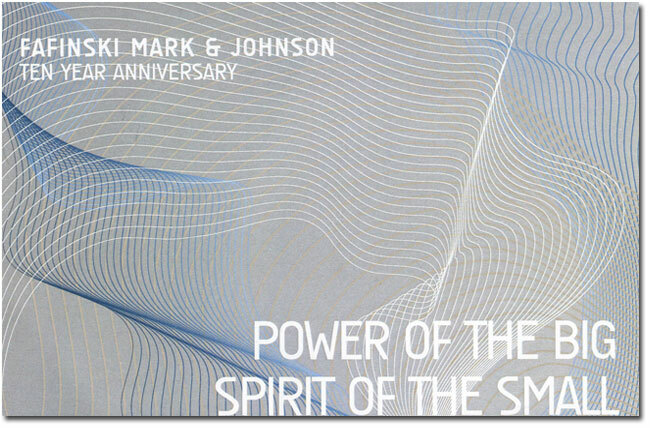 His firm, Fafinski Mark & Johnson, is celebrating ten years in business this year. I first met Kevin while working as a credit manager at Northwest Airlines. He worked in the law department there, before heading to a firm in downtown Minneapolis. Shortly after that, he joined Bob Fafinski and Donald Mark to create their own firm in Eden Prairie. Kevin served as my corporate attorney for Golden Links Publishing and 7 Minute Miles, Inc. and also helped me when I left NWA. Kevin writes some of the best lawyerly letters I’ve ever read and continues to focus his practice on the aviation field (although I think he’d be great on anything). His firm has prospered during these past ten years and it looks like FMJ is now up to 28 attorneys. If you are looking for a good lawyer, I highly recommend contacting them. The party was great: five or six planes in the hanger (including a Citation CJ1 business jet that you could walk through), cool lighting that changed colors every few minutes, an open bar, delicious catering by David Fhima’s Zahtar, an awesome ice sculpture in the shape of their logo, wonderful conversation and nice customer appreciation gifts (wine bottles and USB key drives). Congrats Kevin – you deserve it! Theodore Wirth Golf Club is changing. Last year was a remodel of the outside of the clubhouse. This year, it was a remodel of the the inside. Throw in some nice service enhancements and the Minneapolis Park and Recreation Board has a pretty nice product on their hands. We knew something was up when we drove into the parking lot and an employee pulled up in a cart asking if we wanted our bags driven to the clubhouse. That’s never happened before. Also new were the friendly (and effective) on-course rangers that kept play moving on both nines – without being rude. The condition of the course has been improving over the years and one of the rangers confirmed that their new superintendent is making good progress. They are suffering from some of the same early season issues most of the courses in the region have now, but overall it was nice. I would like to see them get better sand in the bunkers at some point, though. In tough times, it’s nice to see courses making an effort to attract golfers. The weekend walking rate was $32. 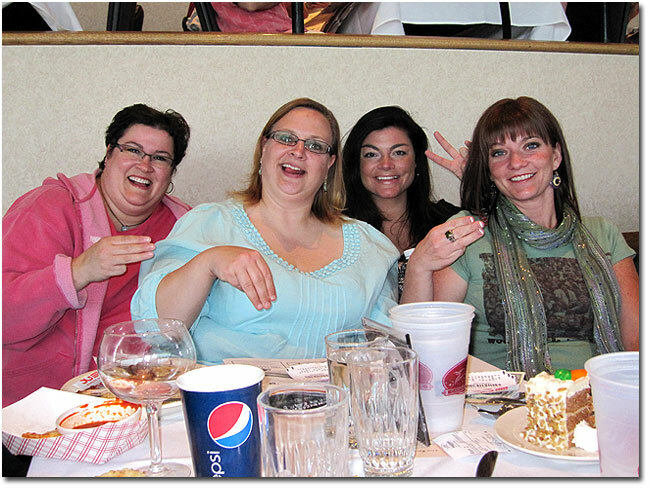 Last night we visited Canterbury Park in Shakopee to celebrate our friend Gina’s birthday. Our group had two reserved tables on the upper level just off the finish line. I’ve never been up there before and I thought it was really nice – table service and bet runners meant you never had to leave for anything all night, if you didn’t want to. I used to bet on the horses a lot during my high school and college days – handicapping has a lot of appeal to people who like math and numbers. Never was really very good at it, but I have a lot of theories to use to help me place bets. Before leaving home, I printed out the jockey and trainer stats for the current meet, along with the Daily Racing Form’s listings for the night. My biggest strategy to making picks is to look at which horses have the best jockeys and trainers. I placed about $45 in bets and left with about $110, so it was a good night for gambling. May was the month of the half marathon for me. Two of my friends wanted to run the distance for the first time this year, so I decided to play the part of trainer and attempt to get both to the finish line safely. First up was my high school friend Bonnie and her husband Eric, who now live in Houston and made the trip back to Minnesota for the Inaugural Stillwater Half Marathon. Colleen and I had a great pre-race pasta dinner with them at Ristorante Luci in St. Paul, followed by a post-race celebration at the Champps north of downtown St. Paul. Several people from high school showed up at the latter event, which was great. So fun to catch up with people I hadn’t seen in years. As for the race, the weather was perfect and the course was hillier than I expected. It started near downtown and ran south on 95 for about 5 miles. The end of that stretch had a big hill, which was followed by another big hill as we crossed over highway 36. It’s always hard to know what to expect when you’ve never run a course before, but I thought this one was pretty good overall. We finished together in 2:25 at a nice little park that had a great view of downtown Stillwater. Congrats to Bonnie and Eric and thanks for everything! The following weekend marked the end of a compressed five week training plan I crafted for my friend and neighbor, Gina. 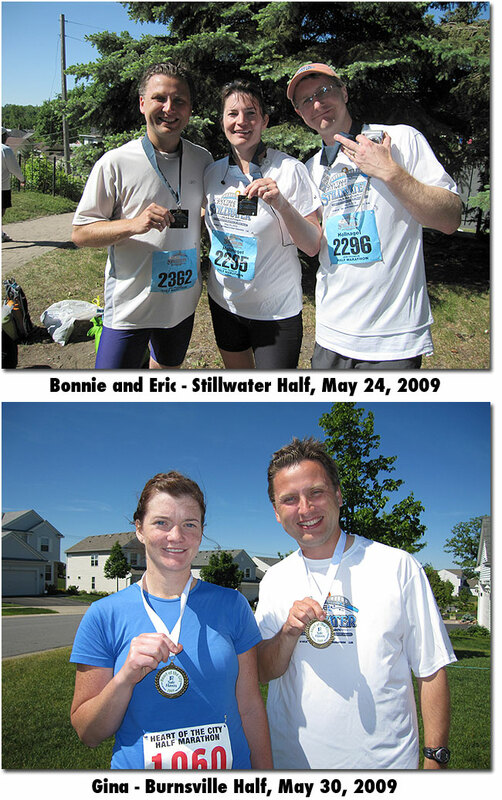 Her race was Burnsville’s Heart of the City Half Marathon, which runs along the Minnesota River Valley. Gina just started running last year and had only one race in the books – the Grand Old Day 8K. Her very aggressive goal was to jump right to the 13.1 mile distance and run a 2:15, followed by the 2009 Twin Cities Marathon in 4:30. So everyone is safe and sound and training continues. I’m signed up for Grandma’s later this month, then Twin Cities in October with Gina (if I can keep up with her). May was a new mileage high for me (134.3 miles) and I’ve never felt better or more fit in my entire life. I’m even getting close to Things To Do Before I Die #2 – Hit the scales at my high school weight. Amazing. 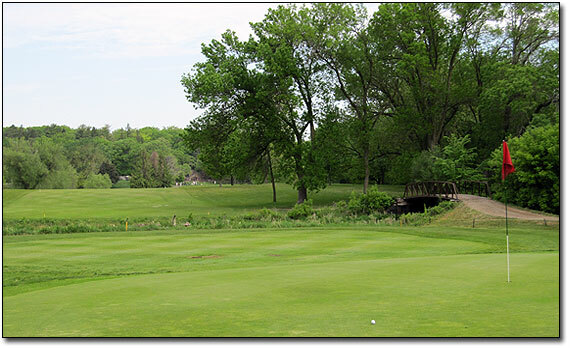 A few weeks back, I got in round #7 of the 2009 season at one of my favorite courses, Southview Country Club in West St. Paul. 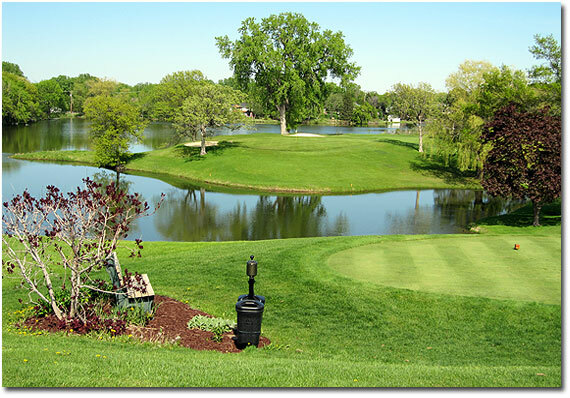 Home of the Tapemark Charity Pro-Am, Southview is always in great condition and has an absolutely superb staff. There are still a limited number of amateur spots available for the 2009 Tapemark, but I anticipate it will be full by the end of the week. If you are interested in registering, visit their online registration page. I played in this event last year for the first time and it was an experience like no other in Minnesota. I noticed a few changes this year: the trees surrounding the fifteenth green have been thinned out (see above) and a new back tee has been built on the par-five fourth hole. The shaping is complete and grass is currently being grown in. Like most private courses in Minnesota this year, Southview is currently offering membership specials. If you are looking for a club to join and want to save some money, give general manager Mark McCahey a call at 651-451-6856. Don’t know how I got so swamped all of a sudden, but it’s already been over a week since I visited my friend and former co-worker Mike at his new job in downtown Minneapolis. 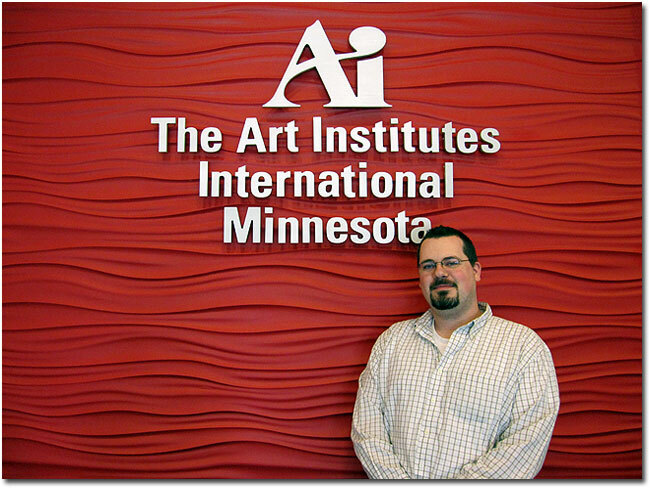 Mr. Guille is now a Macintosh Desktop Analyst at the Art Institutes International Minnesota on 9th Street, which seems to have avoided the economic downturn nicely. AI has new toys all over the place, as witnessed on the tour Mike gave me. The lunch and dinner menu features unlimited servings of 15 different delectable cuts of fire-roasted meats, a sumptuous buffet of gourmet salads and fresh-cut vegetables, and a variety of Brazilian side dishes. The flat-rate pricing (around $32) was very reasonable for the quality and quantity of the meats being served. The servers were incredible and made sure we received everything we wanted in a very timely manner. My only knock against them was the expensive and tiny bottle of Coke.